Football, back-to-school traffic, Halloween merchandise on the shelves. You might be wondering, is it October already? No! But it is time to take a close look at year-end marketing strategies. With Q4 right around the corner, publishers and networks are gearing up to hit annual sales goals, and advertisers are reconciling year-to-date budgets. What better time to cut great deals and test new platforms with those left over media dollars? At Kiosk, we like to balance long-term planning with agile media buying. The beginning of Fall is a great time to take advantage of year-end opportunities, at the same time as we ramp up new strategies for the coming year’s marketing objectives. 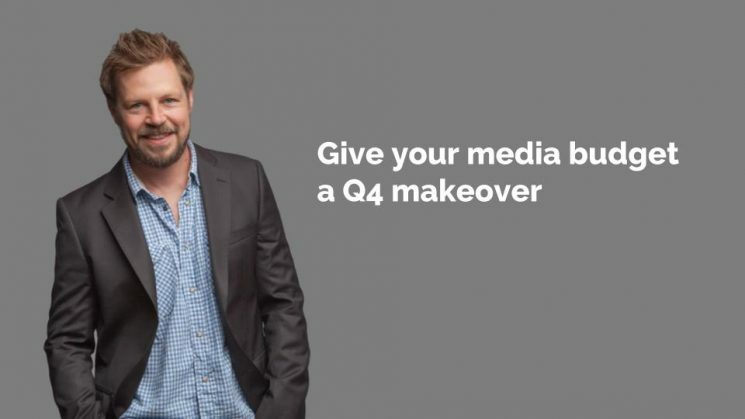 A little lateral thinking and some unspent budget can be a recipe for a media win. And from a business logistics perspective, it allows us to secure media inventory before clients, agencies, and sales teams start to tune-out for the holidays and operate on “skeleton staff”. When you see Halloween costumes at the store, instead of wondering if it’s mid-October already, use it as a reminder to try some new looks in your media mix.